This content was written and produced by Design New England. 23 Beaumont Street on Carruth Hill: Captain Eugene Thomas House by John Fox from 1889. A post-Victorian study in masculine angularity by Fox for Civil War veteran Thomas. Some people were surprised when real estate website Trulia recently crunched the numbers for 24/7 Wall Street to determine the nation’s 10 “hottest neighborhoods” and listed Boston’s Dorchester section as Number 5. Not surprised were the 130 audience members who turned out on a recent Sunday afternoon for “Dorchester’s Hidden Treasurers: The Ascent and Revival of the Railroad Suburb,” a lecture given by me and hosted by the Dorchester Historical Society at the Carpenters Center, that sleek new building designed by ADD Inc., whose oversize digital billboard flashes above the Southeast Expressway between Exits 15 and 16. 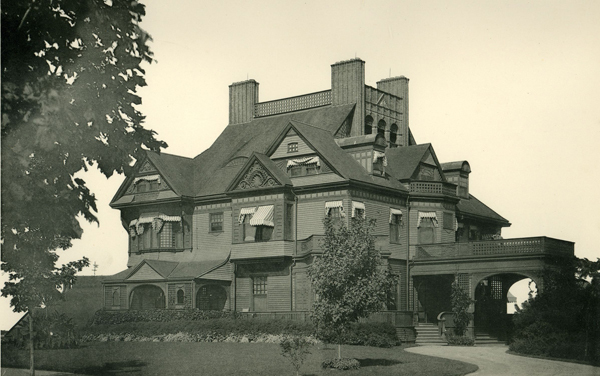 The Mallon Mansion on Mount Bowdoin by Samuel J. F. Thayer (who did the Providence Town Hall). Built in 1880, it was demolished 1927. Founded in 1630, Dorchester is one of America’s oldest towns, independent until its annexation by Boston in 1870. Until 1900, it was a town of grand estates and elegant homes. Dorchester-born Impressionist painter Childe Hassam extolled in 1934, “Dorchester was the most beautiful and pleasant place for a boy” before Boston’s exploding population in the early 20th century devoured its verdant landscapes. 1 Melville Avenue, The Torrey Mansion is a spectacular Stick Style manor by leading architectural firm Cabot & Chandler. Built in 1879, it was demolished in the 1930s. The Perez Morton Mansion by Charles Bulfinch, 1796. 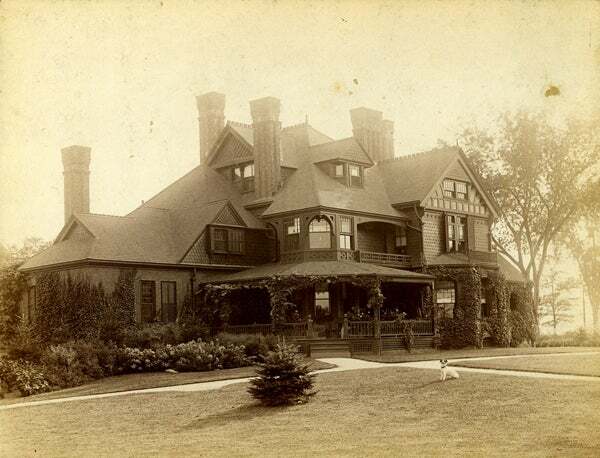 Located in the Dudley Street area, it was demolished in the 1890s. Yet hundreds of Victorian houses survived and are now attracting fresh interest and a wave of restorations. As one of America’s original “railroad suburbs,” Dorchester was developed almost entirely before the arrival of the automobile, making the neighborhood a rarity in urban America. The houses, closely massed and proximate to rail (now the Red Line of the MBTA), represent the work of some of Boston’s best 19th-century architects, with wood the building material of choice. Indeed, if the South End is a sonata of brick, the Back Bay a symphony of granite, marble, brick, and brownstone, Dorchester is a concerto in wood. Whether it be Federal, Greek Revival, Italianate, Stick Style, Swiss Cottage, Queen Anne, Shingle Style, or Colonial Revival some of the finest representations of these architectural fashions can be found cheek by jowl in Dorchester’s many pockets of Victorian splendor. It makes a fascinating contrast to see what Boston’s architects designed simultaneously in the Back Bay and in Dorchester, and how much freer they were to indulge their craft when liberated from the strictures of the Back Bay townhouse regimen. 4 Melville Avenue in Melville Park: the Merrihew House. 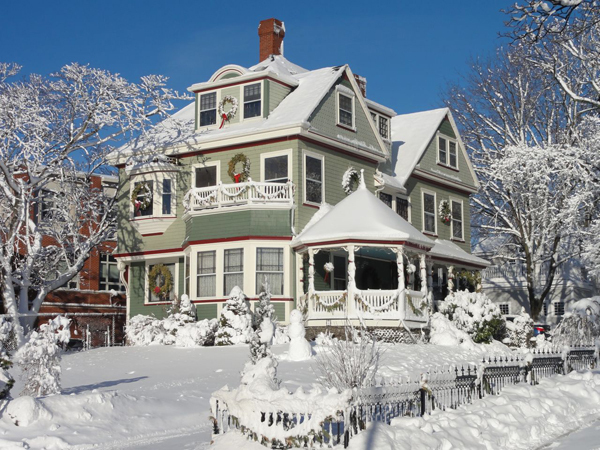 A Queen Anne confection fit for Currier & Ives. 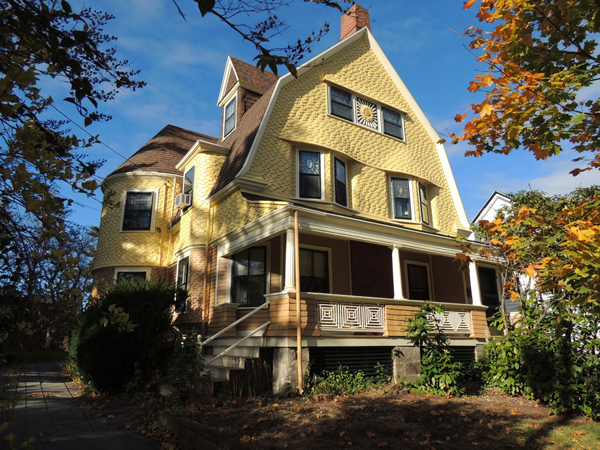 102 Ocean Street on Ashmont Hill in Dorchester: The Sunflower House by architect Samuel Brown for Edward Lynch built in 1891. The waved shingling on the walls and the patterned scrollwork on the porch of particular note. 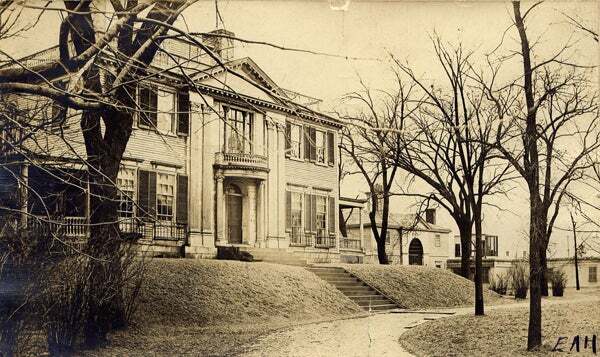 242 Savin Hill Avenue in Savin Hill, the William Worthington House from the 1860s. A grand Stick Style home, recently renovated. Every month, more homes are being renovated to their original glory. As Boston real estate prices escalate and commutes from the outer suburbs elongate, interest grows in the trove of Victorian gems 20 minutes by subway to the heart of downtown Boston. Tragically, some of Dorchester’s most historic and most imposing manors were needlessly demolished in the last century, yet in the new century the town pulses with a renewed energy. 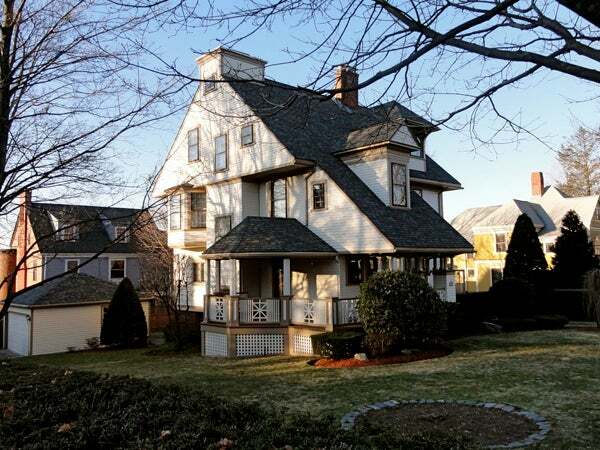 Small wonder Trulia marked it as a “hot neighborhood” for 2013. 14 Peverell Street on Jones Hill, the Edward Burbank House from 1895. 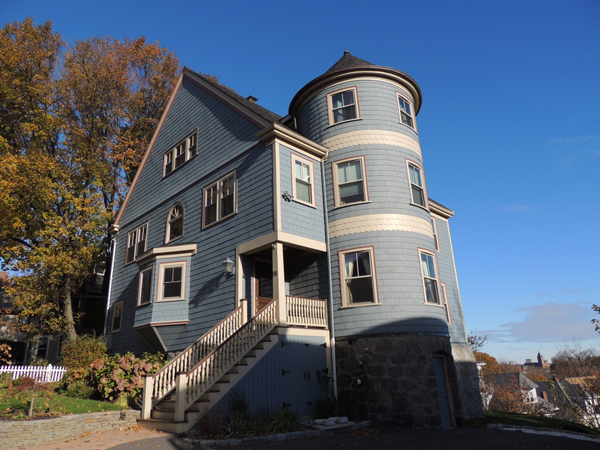 A turreted Queen Anne with unparalleled views of Boston. Andrew F. Saxe, a consulting executive with a degree in History from Harvard University, moved to Dorchester in 2008 with his partner after more than a decade in Boston’s South End. Intrigued by the rich collection of Victorian homes, he began photographing and researching them. Combining his photos of extant houses with the superlative collection of historic photographs owned by the Dorchester Historical Society, Saxe created his book, Dorchester’s Hidden Treasures: The Ascent and Revival of the Railroad Suburb. He is currently seeking a publisher. The Dorchester Historical Society invited him to join its board. Andrew Saxe can be reached at afsaxe@gmail.com. 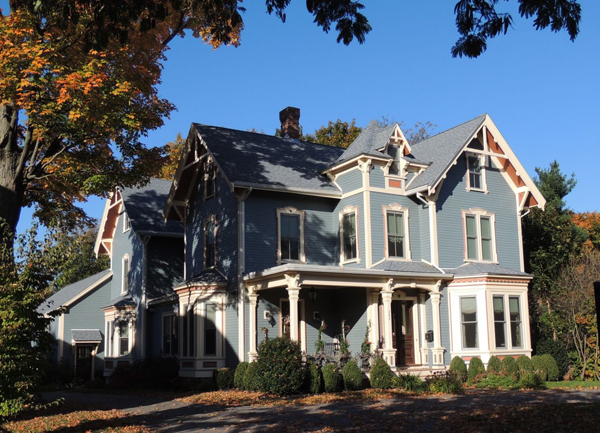 To see more pictures of Dorchester’s important architectural landmarks of the past go to the Dorchester Historical Society’s blog or their Google Group where you can review archives of the historical society’s “Dorchester Illustration of Day” blog postings.